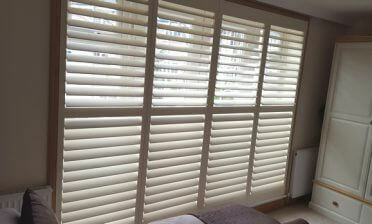 Ben was recently in Tunbridge Wells, Kent to help a client with shutters for the windows of their home. 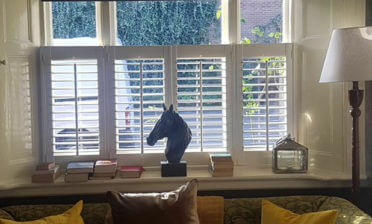 The shutters were to be fitted to 2 windows in the living room of the property which are situated above radiator covers. The customer was looking for a stylish and practical window dressing to further improve the look of the room and make the most of the natural light that enters through the windows. 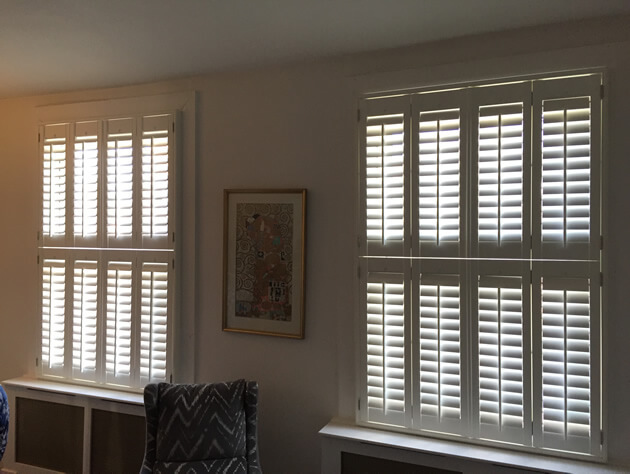 The shutters we used for this installation were tier on tier style. 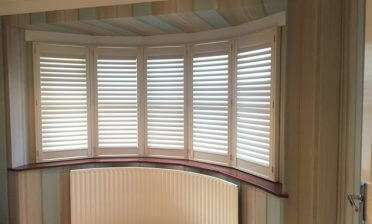 These shutters have a separate top and bottom section which gives you far more flexibility that standard shutters. The top and bottom sections are both individually hinged which allows you to open one section while leaving the other closed. Each panel can also be individually adjusted to suit your needs. 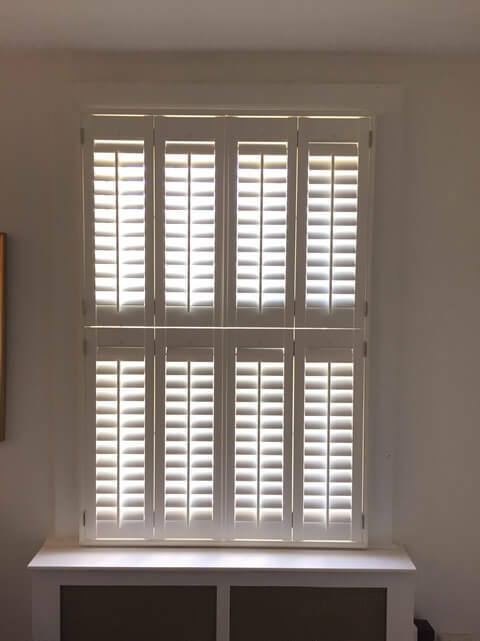 We used 76mm louvres with central tilt rods which look great on these shutters, creating a traditional look and also making the adjustment of each panel easy for all occupants of the home. 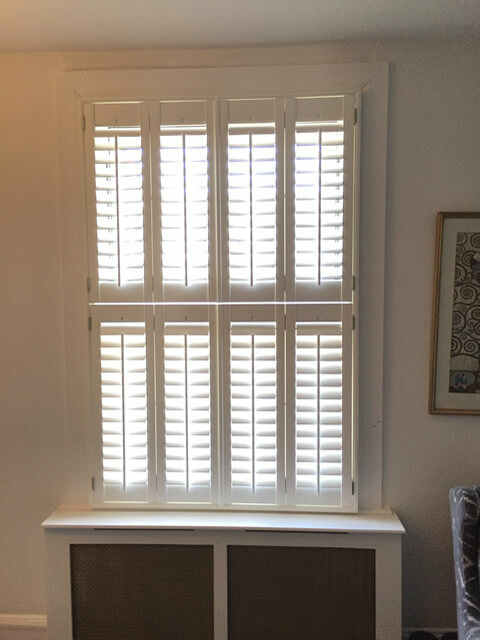 We finished the shutters in pure white which works great with the existing window frame, radiator covers and decor.